An Audience of One (2018) takes readers on a deep dive into the day-to-day life of the creative mind. 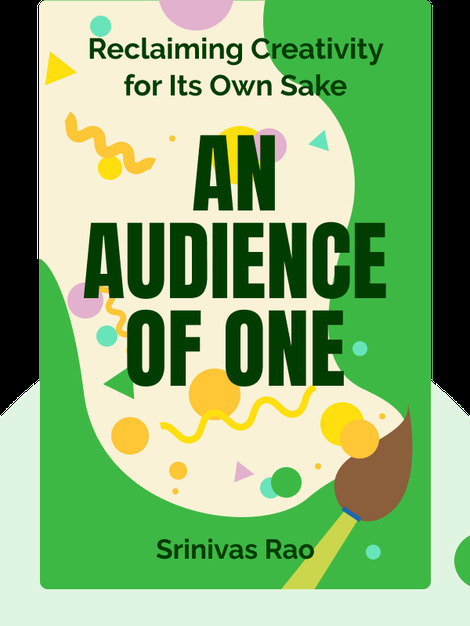 Author Srinivas Rao uses his own life experience, as well as plenty of wisdom from other artists and creatives, to explain why there is little happiness or satisfaction in a life spent trying to please others. Rao offers practical and scientific evidence that shows how a rewarding creative life is all about embracing the process and being true to your own vision rather than the expectations of others. 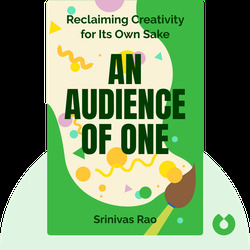 Srinivas Rao is a writer and host of the popular podcast Unmistakable Creative, which offers insightful interviews with an array of creative minds every week. He is driven to make the world a more artistic place by helping people listen to their creative voice. His previous books include the best-selling The Art of Being Unmistakable.